Peter, aged 40, moved to Australia. Peter loved Australia. He said it was ‘the proudest moment of his life’ when he became an Australian citizen. He spent the last 16 years of his life based there. He retained his British Passport. He kept in regular touch with his mother and father, and in somewhat irregular contact with his brothers and sisters, his nephews and nieces, his cousins, his aunts and uncles, and his grandparents. Peter always turned up at big family gatherings when his schedule allowed. His arrival at his father’s retirement party and at his 80th birthday have become family legends. Both of his brothers had Peter as their first choice for best man at their weddings. But both had an understudy ready to step in! 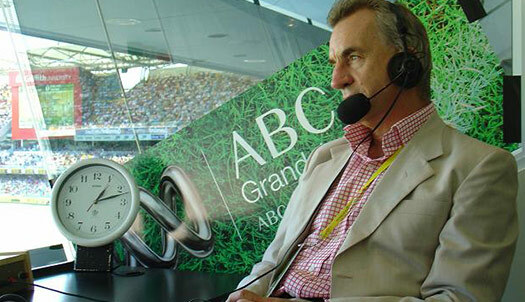 We were planning for his visit in 2013, when he expected to be over in the UK covering the Australian Ashes Tour … but it wasn’t to be. Peter died in Cape Town, South Africa, on 12th November 2011.